I know it is old and the EXACT make/model of one that is in our family. I was supposed to inherit the clock upon my Great Aunt's death but it slipped away. 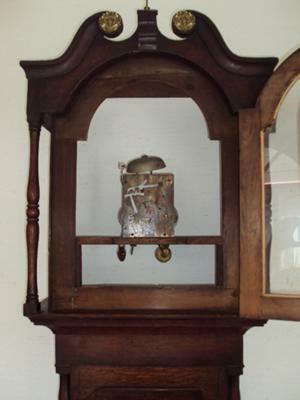 I had been looking for nice old grandfather clock when I came upon this one and it's exactly (except for the case) like my Great Aunt's!